Home > News > Women In Business > 1 Year Of #MeToo: Have Things Changed For Women In Business Schools? It's been just over a year since #MeToo spread like wildfire, but has it changed b-schools? On October 15th, 2017, Hollywood actress Alyssa Milano published a tweet that would be heard around the world. In it, Milano encouraged women to spread the hashtag #MeToo to demonstrate the widespread nature of sexual harassment in the workplace. According to CNN, the hashtag had been used over 200,000 times by the end of the day, and tweeted more than half a million times by the end of the month. As the movement progressed, the hashtag became a byword for workplace harassment, a rallying point for survivors of sexual assault and harassment to highlight its pervasiveness while advocating for institutional change—and business schools were no exception. “What I experienced was eyes forced wide open—the students’ sense of idealism was burst,” says Kellie McElhaney, a teaching fellow at the University of California at Berkeley’s Haas School of Management, and the founding director of its Center for Equity, Gender, and Leadership. This sense of shock was soon followed, Kellie recalls, by anger—from both men and women. It wasn’t merely righteous indignation, either. In line with the statistic, reported by CNBC last year, that one-fifth of American adults have experienced sexual harassment at work, many of Kellie’s students came to her with their own stories, either as bystanders, witnesses, or victims. “For some of them, they didn’t know that what they had experienced was gendered harassment, and for those who’d experienced blatant sexual assault, like so many of us they had buried it—#MeToo brought it back to the surface,” says Kellie. But has this tide of awareness and emotion brought on any concrete change in business schools? Is sexual harassment treated more seriously, and are we much closer to gender equity than we were a year ago? Kellie thinks not. Indeed, the beginning of November saw employees at Google stage a walkout over sexual misconduct at the organization, and earlier this year an employee at the company, James Damore, circulated a memo arguing against equal representation in the tech industry. And it’s not just on the West coast that change seems to be stunted. Columbia Business School has faced a firestorm of scrutiny this year after a tenured professor was found guilty of retaliating against a female professor who reported him for sexual harassment, and just last week an MBA student came forward with allegations that she had been drugged and sexually assaulted by another student at an off-campus party. It would be easy to look at stories like these and say that nothing has changed, but that is not necessarily how it feels for women on the ground. Shweta Joshi, a student of Kellie’s at Berkeley Haas and the co-president of Haas’s Women in Leadership club, says that while structural change may be lacking, the most pronounced shift has been in conversations around sexual harassment at business school. “It’s hard for me to imagine how business school would have been different without the rise of #MeToo, since it aligned almost perfectly with the start of my experience at Berkeley Haas,” she says. Tess Peppers, another Haas student on the part-time MBA, agrees. “I think the #MeToo movement didn’t really change the way women talked with one another, but it emboldened a lot of us to have these conversations with the male allies in our lives in a more honest way,” she says. Like Kellie, Tess feels that the expectation at Berkeley around the time of #MeToo’s initial rise was that there would not be an immediate change. Anonymous comments that Tess provided from some of her MBA classmates reflect these ideas—that although tangible change may not have happened yet, conversations around sexual harassment are becoming more open and inclusive. Awareness, then, and an opening up of public conversations around sexism and harassment, is the real triumph of the #MeToo movement’s first year within business schools. Meanwhile, in the post-MBA world, more concrete changes have been happening on an organizational level—albeit not the sweeping change that many activists hoped for. Frances Taplett, an MBA alum from Tuck School of Business at Dartmouth College, and the current global head of people at the Boston Consulting Group (BCG), says that many of the clients that she works with have responded positively to the cultural shift around the movement. Although there has been a bright spotlight shone on these issues, Frances points out that it does have its blind spots. 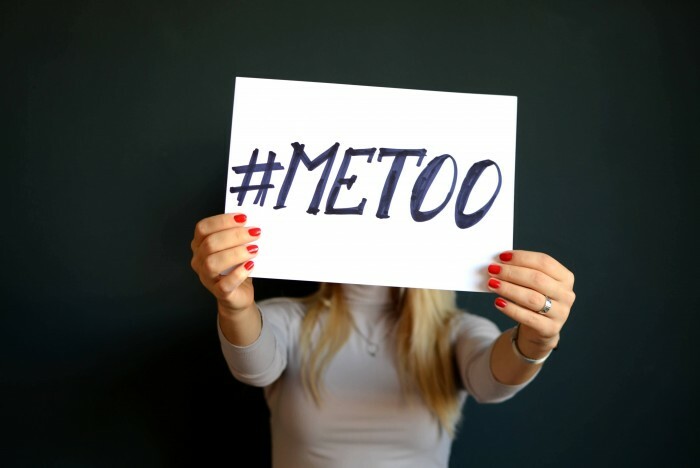 In the post-MBA workplace, she has experienced a number of jokes from colleagues about the #MeToo movement—innocuous enough in themselves, but which speak to an exclusionary attitude towards women. “Honestly, those jokes scare me, because most of my mentors have been men—there are not enough women high up in the workforce to be mentors to everybody, and if you want to be successful in a mainstream environment, having a mentor who’s part of that mainstream can be helpful,” she explains. Frances’s concern is that the #MeToo movement has unwittingly created a climate of fear among men that they could be accused, and that this climate will breed a reluctance to engage with women colleagues, and to help them in their careers. It has been a year of mixed results, then, with #MeToo making gains for women in business schools in some areas while creating roadblocks in others. For Kellie and her students though, the future is not entirely bleak. “Conversations about the hyper-masculinized world we live in make me hopeful, because I haven’t in my lifetime heard that discussed before,” says Kellie decisively.